Imperial Sports Limited supply many clubs from professional to amateur. 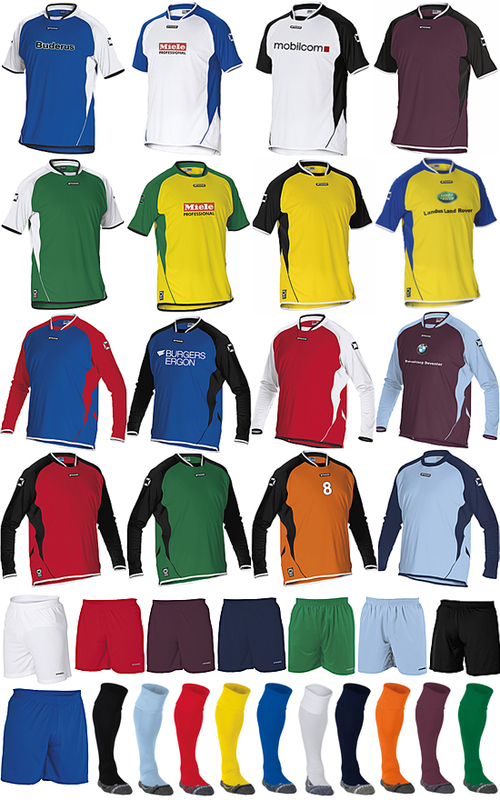 There's a great range from well known names including, Stanno, Nike, Macron, Mitre, Puma and Adidas. If that's not enough then we can also supply a kit to your own design. We buy training and match balls in bulk which is why our prices are so keen. Give us a chance to quote for goals, flags, linemarkers and fluid, cones, bags, managers' jackets, sub-suits and well, the list goes on, doesn't it? We also have a range of non-current catalogue kits from some of the well known names which are less expensive. Give us a call and we'll track something down for you. Contact us.